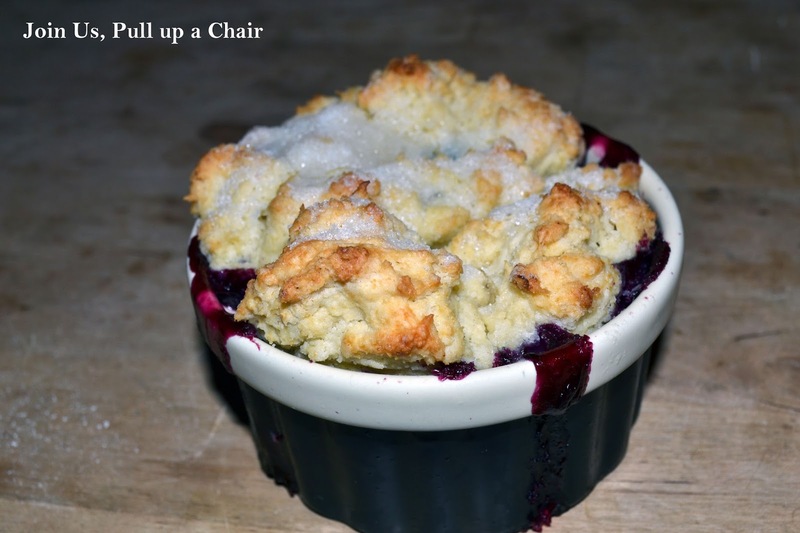 I love a good cobbler and this one is no exception! The combination of the tart blueberries and sweet nectarines and then topped with a biscuit. I made them in ramekins but it would be great in a baking dish to take to a dinner party. It’s simple but the results make it totally worth it. I think what makes these better than other cobblers is that you cook down half of the fruit and make a syrup. It makes the fruit thick and the perfect consistency! In a medium saucepan, add in half of the blueberries and nectarines. Add 3/4 cup sugar and 2 tablespoons of flour. Stir to combine. Bring to a soft boil and stir constantly until the sauce thickens. Remove from the heat and pour the fruit into a bowl. Add in the remaining fruit, lemon zest and juice. Let cool to room temperature. Once the filling has cooled, preheat oven to 425 degrees. Coat a baking dish or ramekins with nonstick cooking spray. Divide the filling between the prepared dishes. To make the biscuit, add the 2 cups of flour, salt and baking powder. Cut in the cold butter until crumbs are formed. In a small measuring cup, combine the milk and egg. Pour into flour mixture and stir until just combined. Drop small pieces of biscuit onto the top of the filling. Sprinkle generously with the remaining 1/4 cup of sugar. Bake for 15 to 20 minutes or 30 minutes for a larger dish. Watch closely to make sure the biscuit doesn’t burn. Remove from the oven and allow to cool before digging in!